Home / Vehicles / Teamsterz Offroad 4x4 with lights and sounds and working winch. 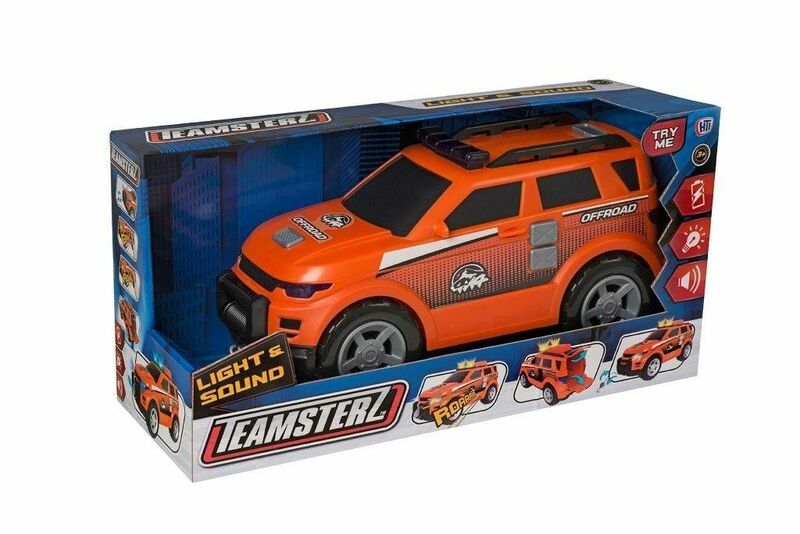 Children will love this brightly coloured Teamsterz Offroad 4x4 with lights and sounds. The back opens up to carry objects, and the front has a working winch, pull it out and press the button on the bonnet to wind it back in.